Each week, a group of 20 people put aside their differences and bond over their shared love for anime. Anime is a type of Japanese cartoon that is generally aimed for older demographics which focus on a wide variety of topics. Cynthia Curtis, a junior earth science major and anime club president, has been watching anime since she was 15. Curtis’ friend suggested she watch “Vampire Hunter D” for her first anime because of the animations and story line. From then on, Curtis said she’s been passionate about anime and would even get up early to watch it while growing up. Danielle Johnson, a sophomore psychology and addiction studies major, said she’s been watching anime since she was 11. She said anime is the “weirdest but best experience” a cartoon can give, and she likes anime with a deeper meaning that provokes conversations. Curtis and Johnson not only share a love for anime, but also for Japanese culture. They both said anime and Japanese go hand in hand. As anime club president, Curtis has been implementing Japanese culture lessons into their weekly club meetings. Johnson said she wasn’t always interested in Japanese culture. She started learning more about Japan when she joined the anime club. “She usually has a good description on what the anime is we are going to watch and small detail and the social references, and she makes references to Japanese cultural and what is happening in history at the time of the anime so we can understand the anime more,” Johnson said. Curtis said the most rewarding thing about being president of the anime club is seeing members connect with a particular anime she shows. Andrew Smith, a junior strategic communications major, said he’s not as interested in anime as the rest of the club, but enjoys the companionship that comes with being a member. Anime club meets every Tuesday and sees a weekly attendance of around 20 students. This club is open to all students, and they always welcome to new members. One of the main events anime club hosts is the Tori Conn cosplay event. This year the event took place on Feb. 24 and saw a turn out of 65 participants. 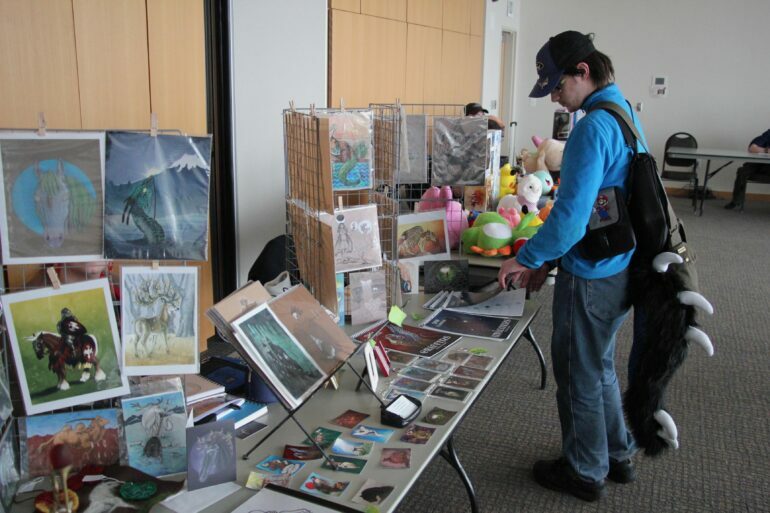 The event had vendors selling artwork and other souvenirs, screening of anime, a video game tournament, board games and costume competitions.